A JCT (Joint Contracts Tribunal) Contract has variations that can seem confusing. 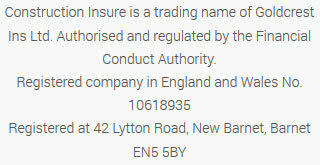 For instance, a JCT 5.4B requires that the developer and contractor are both named on the building insurance and also named jointly on the Contractors All Risk policy or Contract works policy. In other words, there needs to be a policy in place that makes both the developer and the contractor responsible for insuring the project. This can, in fact, be specified on the builder’s existing contract. The key point is that the policy must cover the entire cost of the build. Alternatively, you could opt for a separate policy that names both parties, but you will then have to ensure your buildings insurance policy also names both parties. These types of policies can get complicated, and some home insurers are reticent to get involve. But we have access to insurers who will comprehensively cover the project to make sure all parties are financially protected. There are various types of JCT that may be more applicable to your project. We’ll give you the guidance you need to make sure you get the correct one. There is a short explanation of the different variations below. Whatever your JCT 5.4B insurance requirements, please get in touch today for a free no obligation quotation. This is similar to 5.4B, above. However, it requires the employer to be included as a ‘joint name’ with the contractor, on the policy. It is preferable to have both names on the Contractors All Risks or the Contract Works policy. But sometimes the two policies are separated. So, a JCT 5.4A makes sure, if anything happens to the main contractor, the employer is safeguarded. This is a variation where it’s necessary for the contractor to be jointly named on the home policy. However, this isn’t always straightforward, due to existing exclusions on some building policies. We will, of course, advise you how to deal with issues like this. This Insurance protects you for non-negligence claims during the project. Non-negligence covers problems on the build, that can’t be foreseen, but would still require work to correct them. Which, depending on the issue, can be expensive. A 21.21 would cover these expenses, even if there’s already an existing Contractors All Risks policy on the build. Your insurer would require details of the build, including the overall cost, as well as, usually, the original drawings. They would also need to know the level of indemnity you require. 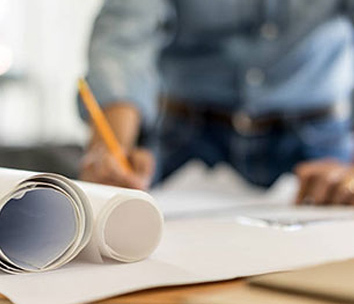 Because we’ve been insuring the construction industry for a long time, we’ll give you the help you need to make sure you’re fully protected from claims against you. We offer independent advice and a tailor made quotation process which is under no obligation. Please call us on 020 3958 6868 so we can talk to you about the JCT Insurance that you need for your project.